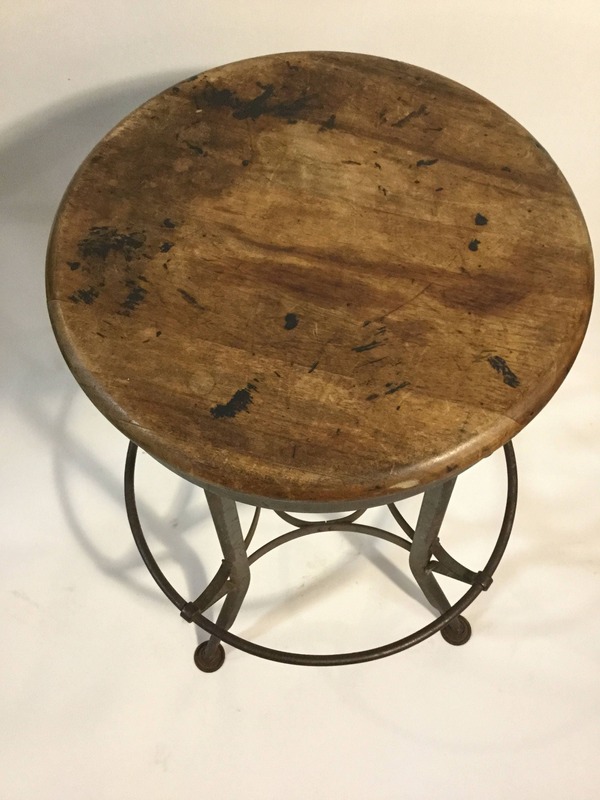 SOLD: Ca. 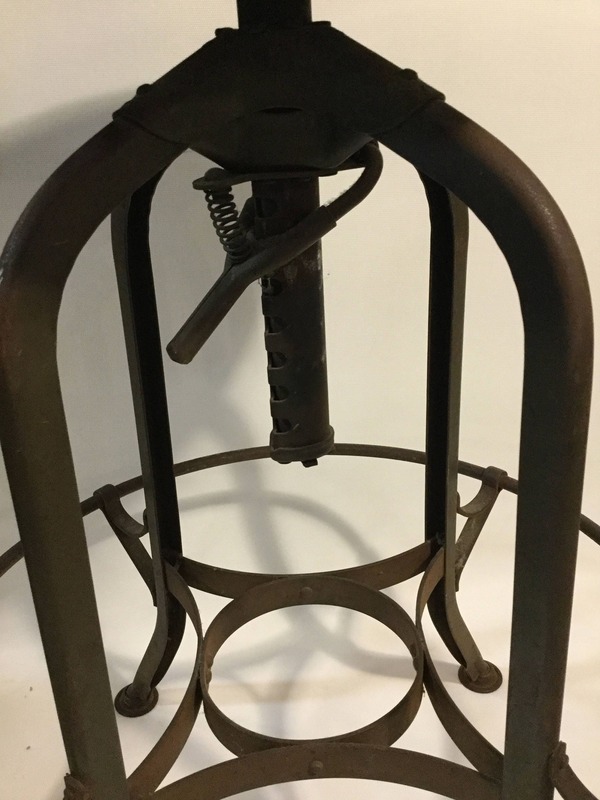 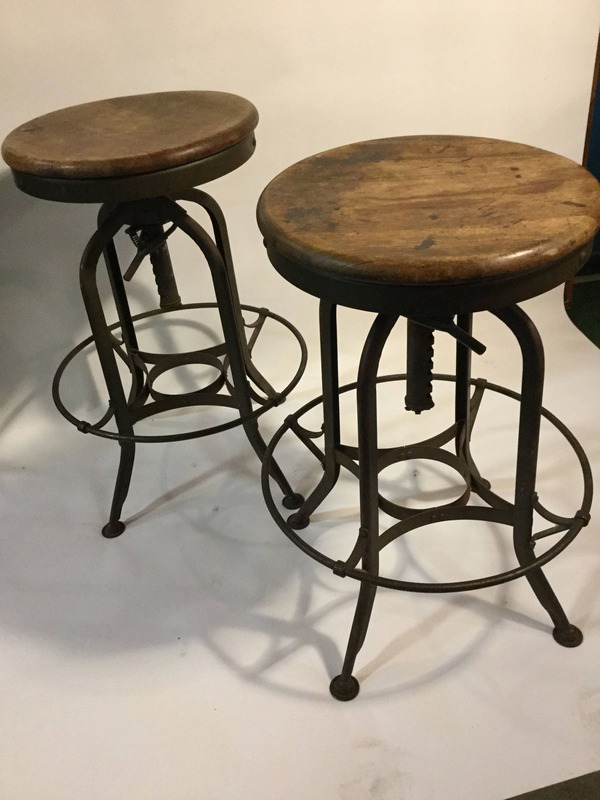 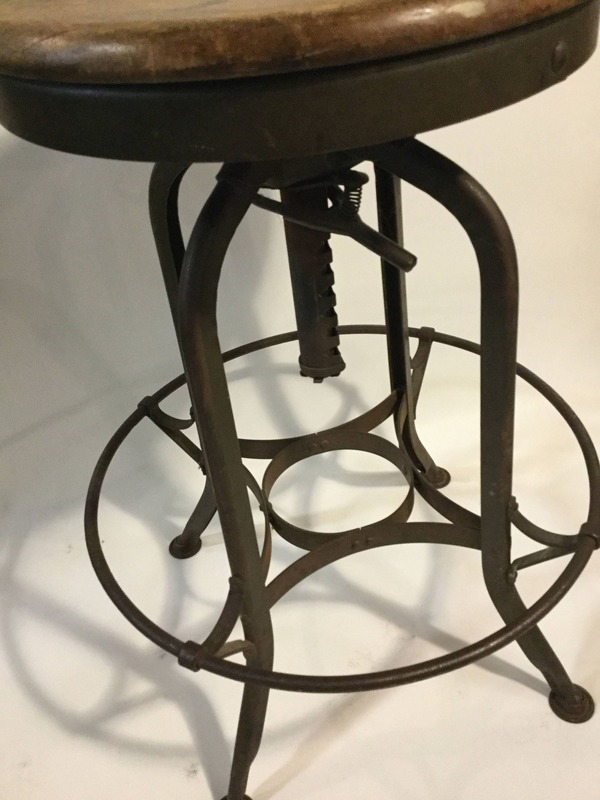 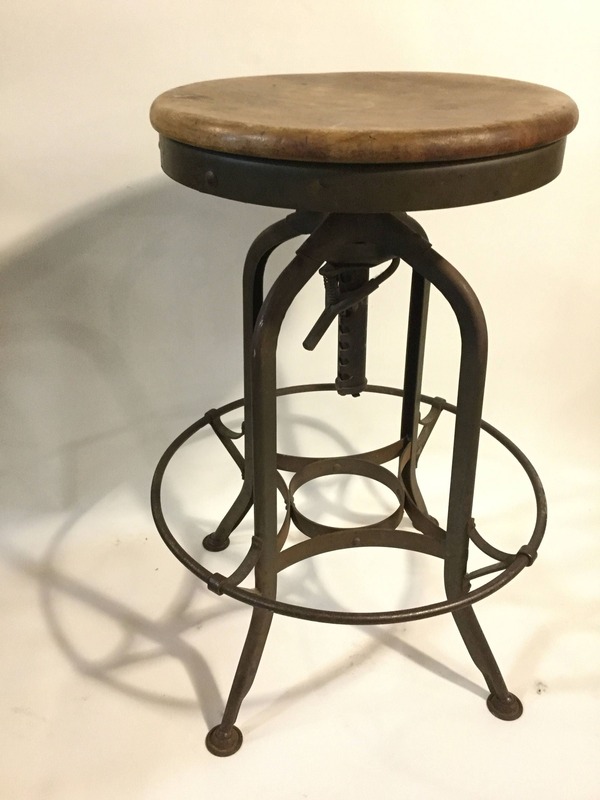 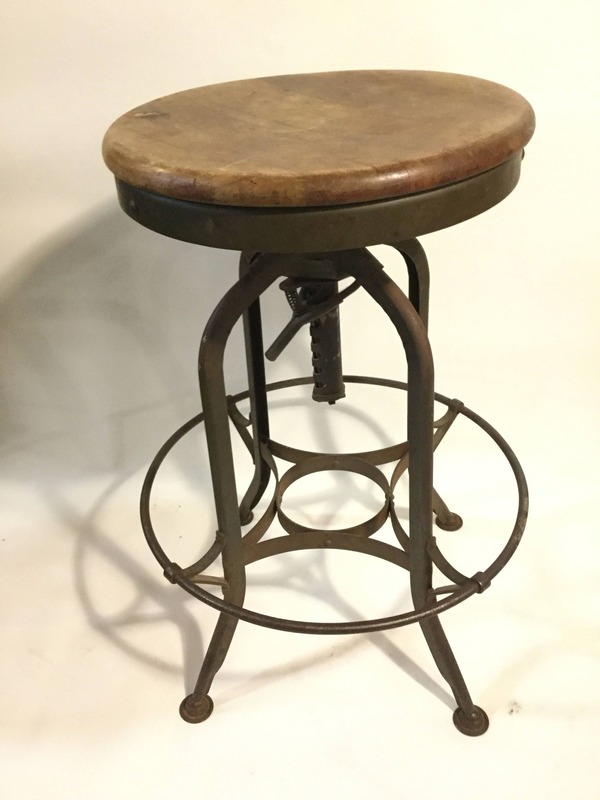 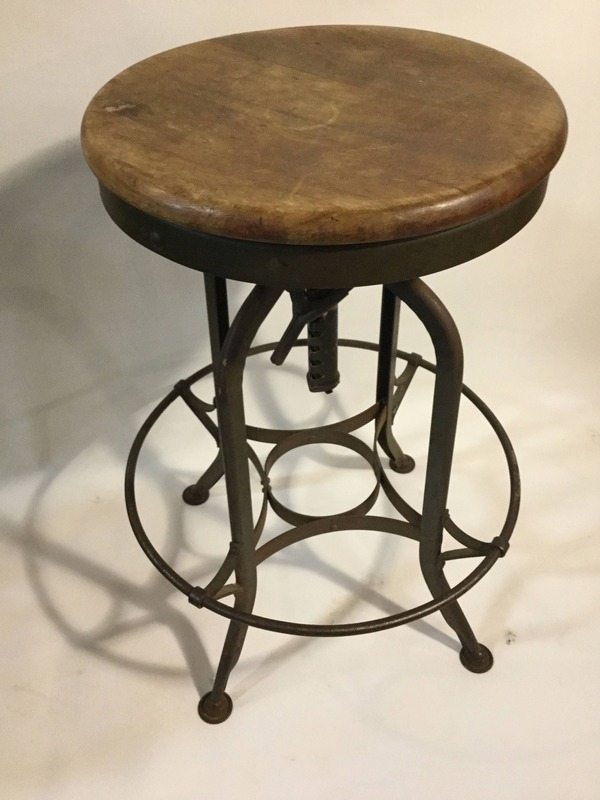 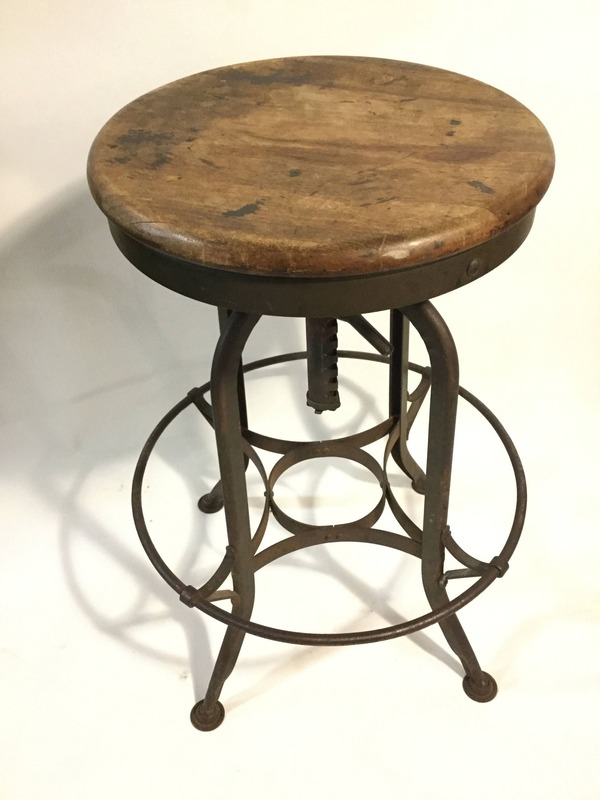 1950s Toledo Metal Furniture Co. Maple/Steel Adjustable Pair of Industrial Stools From The US Mint in PA.
From the Franklin Mint Collection PA, these industrial adjustable steel and maple stools can be integreted in today’s lifestyles. 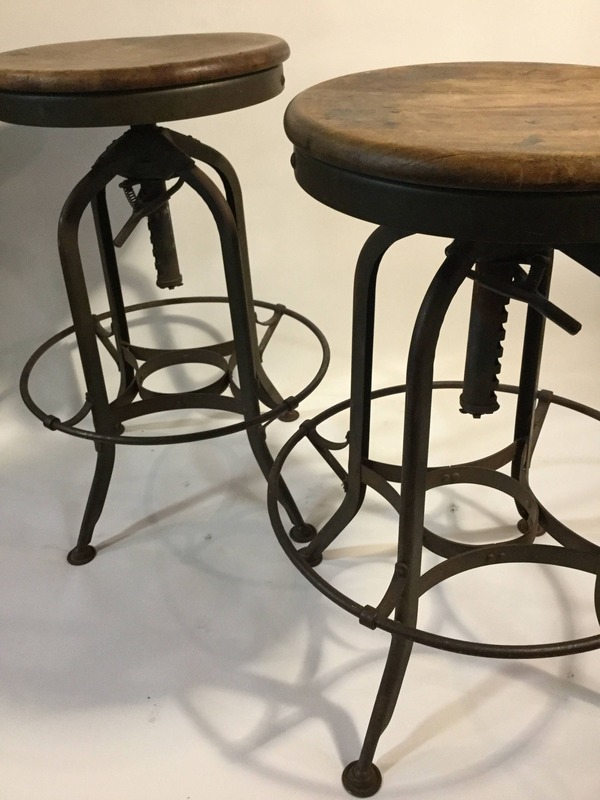 Chique and heavy duty. 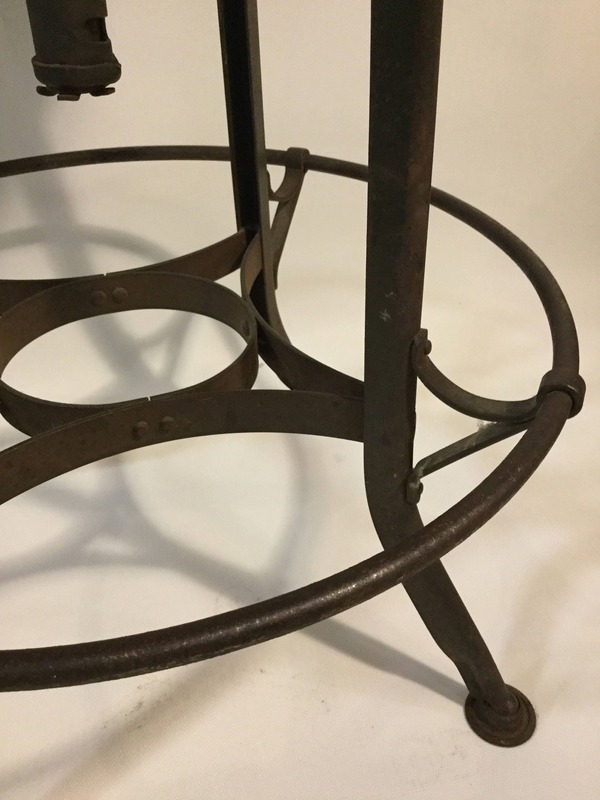 Minor scratches and patina consistent with age.